Battlefield 1 is a fantastic step forward in EA and DICE’s franchise and they’re getting ready to drop four new DLC's. A detailed look into these unique expansions has become available and below you’ll find a breakdown of each one. With so many great games being released, it’s impressive Battlefield still has the strength to pull the community back in time and time again. 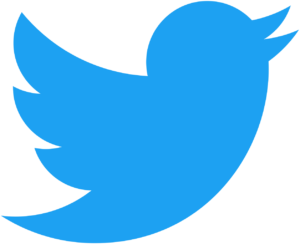 Take a look and see what’s in store. The upcoming expansions will be available as individual purchases, or free for Premium Pass holders. As of now, the Premium Pass costs $50 so maybe ‘free’ isn’t the right term. 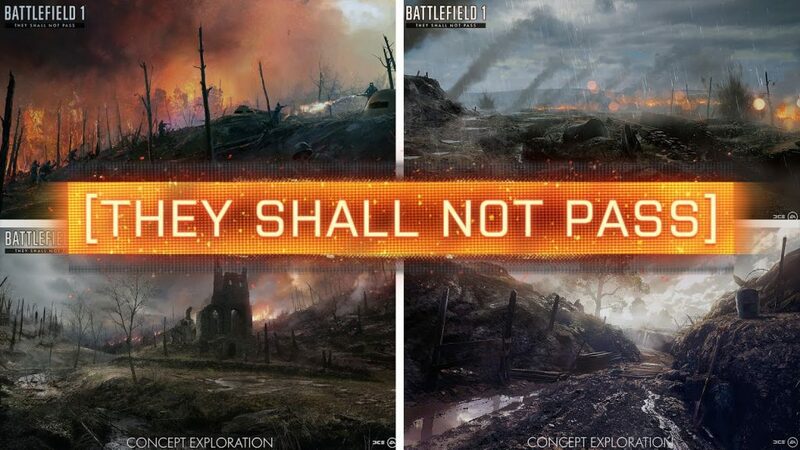 Players will have a chance to play as the World War 1 era French army, fighting across four French maps. The Car 2C tank also makes an appearance in the DLC which is the game's newest behemoth class vehicle. This is by far the most highly covered of the four expansions as it's currently available on the Community Test Environment. The second expansion puts the player directly in the front lines with the Russian army, ready to ride along with the “legendary Hussars." The historic Brusilov offensive and Albion assault are the primary theme of the second DLC. Battlefield 1 is taking to the sea in this expansion focused on naval warfare. A new destroyer and coastal class airship will become available which is going to add even more diversity to this already unique first-person shooter. Players will be tossed into the hell of war as they take part in the Zeebrugge raid and storm the beaches of Gallipoli. 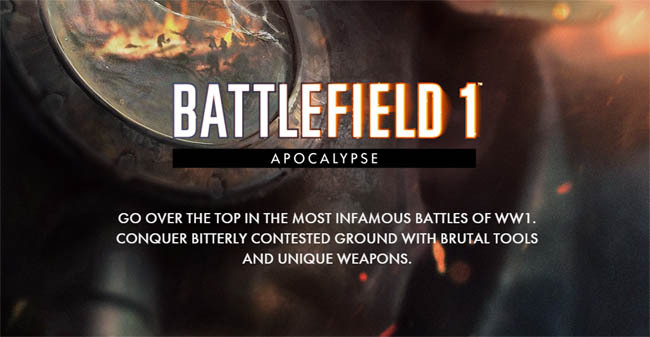 This expansion will include some of the most “infamous battles of WW1." This is where some of the most “brutal tools and unique weapons” will rear their ugly heads. When faced with tremendous obstacles, people will do whatever it takes to survive. Desperation and deadlock describes World War I perfectly and the weapons making their way to this fourth expansion will be a testament to that fact. Battlefield 1 has delivered so much entertainment and this is the perfect time to release an expansion of this size. This is not to say the game was getting stale, but it’s definitely time to learn some new maps, weapons and find ourselves in some new crazy situations. Yesterday's leak that Middle Earth: Shadow of War will be coming out August 22nd in North America has been officially confirmed by Warner Bros. Monolith Productions is making this game much larger than its predecessor, Shadow of Mordor. The nemesis system not only dynamically creates Orc generals but also shapes the open world as well. Players will not just be facing Sauron this time but his Nazgul mounts well. Below you'll find the official announcement trailer that gives a cinematic look into the story of the game. 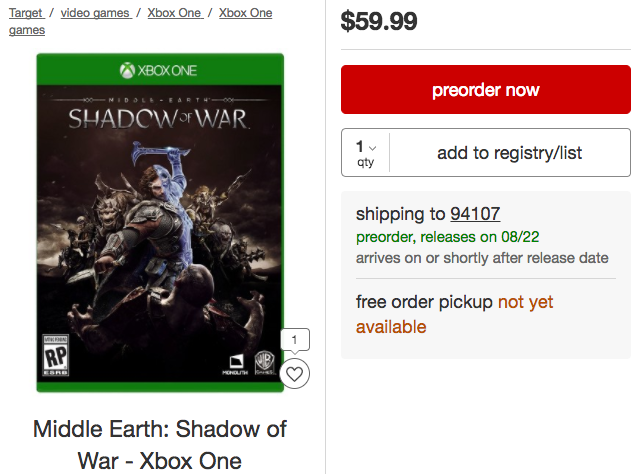 The next title in the "Shadow of Mordor" series is on the way according to an accidental early listing on US retailer Target's website. This listing for Middle-Earth: Shadow of War was initially spotted by NeoGaf. The release date on the now removed leak was set for August 22nd which means that developer Monolith Productions is preparing for an announcement soon, most likely E3. According to the description, the game will contain the Nemesis system from Shadow of Mordor. This system required players to systematically eliminate a randomly generated hierarchy of Orc's to eventually kill the leaders. Middle Earth: Shadow of War will continue the story of Talion and Celebrimbor, the hero and his ghost friend from Shadow of Mordor. The dynamic duo is back and looking to forge their own ring of power so they can take on the dark lord, Sauron. 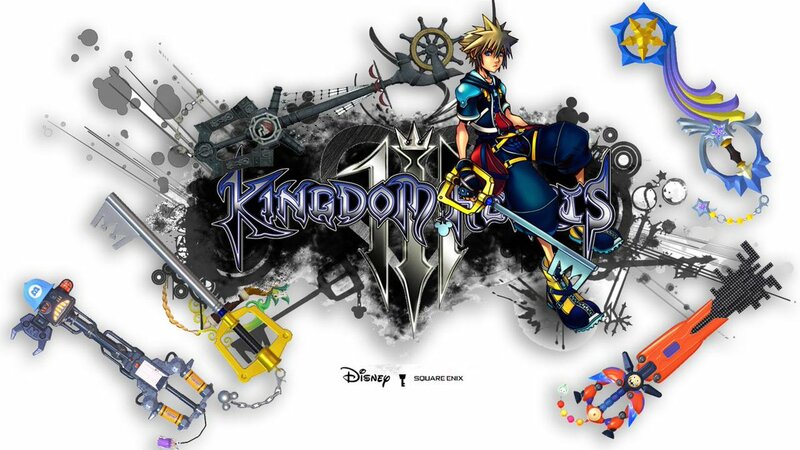 The listing also details that the game will have the industry standard "Gold Edition" priced at $100 USD. This edition will contain two nemesis expansions, two story add-on's and a "Gold War Chest." The Nemesis expansions were also detailed and will contain a new Orc tribe, enemies, missions and more. The story expansions will have a new campaign with a different playable character. Gigamax Games was a huge fan of the first entry in the Shadow of Mordor series and we are very excited for the latest entry. While it is unfortunate that the game was accidentally leaked before the developer was ready to show it off, it is nice to see the positive response and genuine hype for the sequel. 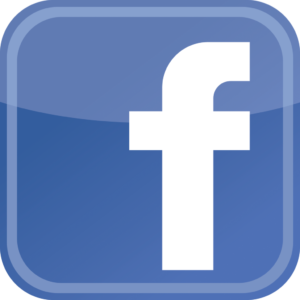 Be sure to check back at Gigamax Games for more details on this developing story. Right on the heels of their Sombra release, Blizzard is already teasing a new character. In a recent forum thread game director, Jeff Kaplan confirmed that his team has "multiple characters in the works" following that up with "24 is not who you think it is." (http://bit.ly/2mo1dke). This seemingly confirms that the next character will not be the heavily theorized Doomfist. Players began speculating that Doomfist may be the next hero weeks ago when Terry Crews, a huge Overwatch fan/famous actor, was spotted at the Blizzard offices. This began a long running social media campaign by fans to secure Crew's a spot to voice Doomfist. While Blizzard never gave official word on whether or not he would play the character, they've just put up a blog post which adds a new face to the lore. 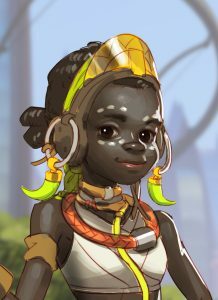 Meet Efi Oladele, an 11 year old AI and Robotics expert from Numbani. She was the focal point of Blizzard's post and it is now theorized that she will be the next character to join the brawl. While it is unlikely that an 11 year old will be fighting directly on the battlefield, most think that she will send one of her robots to do the work for her. Further cementing this idea lead writer, Michael Chu also confirmed that the blog post takes place in current day Overwatch time, so we won't see an adult Efi on the field. We hear at Gigamax are big fans of Overwatch and love that Blizzard is actively engaging the community. It's one thing to have constant updates, but another thing entirely to keep fans in the loop through the whole development process. Games that rely on fan feedback truly stand out and this could not be more true for Overwatch, especially with its recent win of another GOTY at the DICE Awards. While Blizzard still hasn't announced who the character will be, you know that we'll be on the lookout. 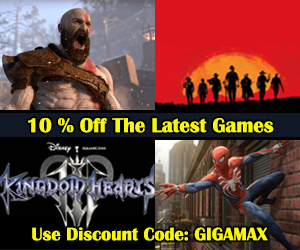 Make sure to keep checking back with Gigamax for all the latest in gaming news and industry updates. No VR games on the market today are anywhere near the size and depth of Fallout 4. Usually linear or arcade like, a fully open world with all the complexities Fallout 4 has to offer will surely be an industry first. This Bethesda hit has already offered countless hours of highly immersive gameplay. The option to play in VR will surely bring us right back to this incredible game. The release is still to be determined for Playstation VR, but it seems to be an obvious choice for Bethesda. Fallout 4 sold over 640,000 console digital copies on the first day. Nearly a third of their total units sold on launch. It would be a shame to leave out a third of their audience when offering such an incredible experience. However, there could be some performance issues when it comes to the Playstation VR. This consumer level VR device is substantially less powerful than most PC setups. This move offers some hope about the future of VR. 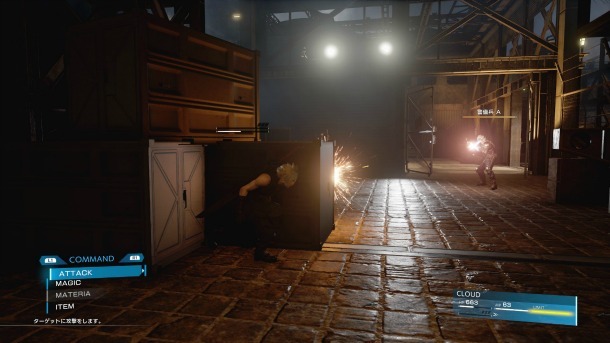 Instead of becoming a gimmick, it seems as though developers are willing to take the chance. The newly refined VR systems are beautiful pieces of technology and Bethesda's move to create this experience for Fallout 4, is a refreshing sign. 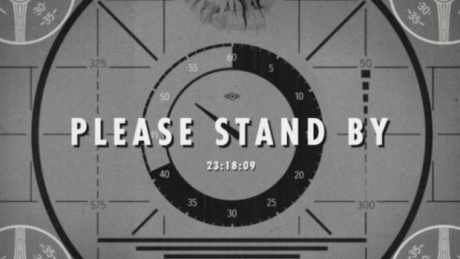 We'll keep a close eye on the latest developments surrounding Fallout 4 in Virtual Reality. 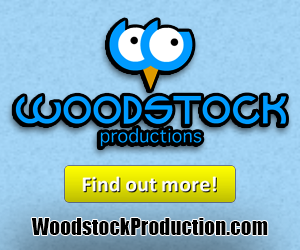 Check back soon for more! 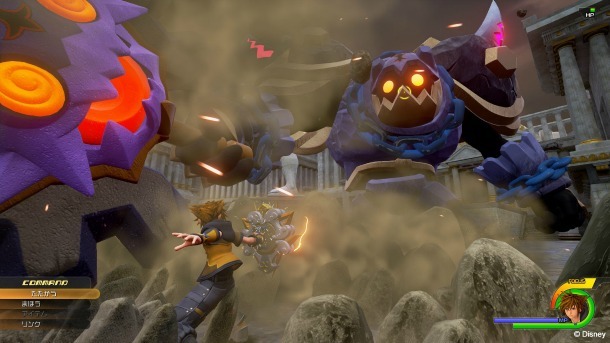 The story mode is made up of three separate paths that follow the wars constantly raging between the game’s factions. Players start as the knights, a group of honor bound warriors that plan to bring peace to the lands. The game then transition control over to the vikings, who are in desperate need of a leader. Finally, the third act follows the samurai as they fight off invading forces. The campaign offers insight into the many playable heroes and teaches all the intricacies of combat. 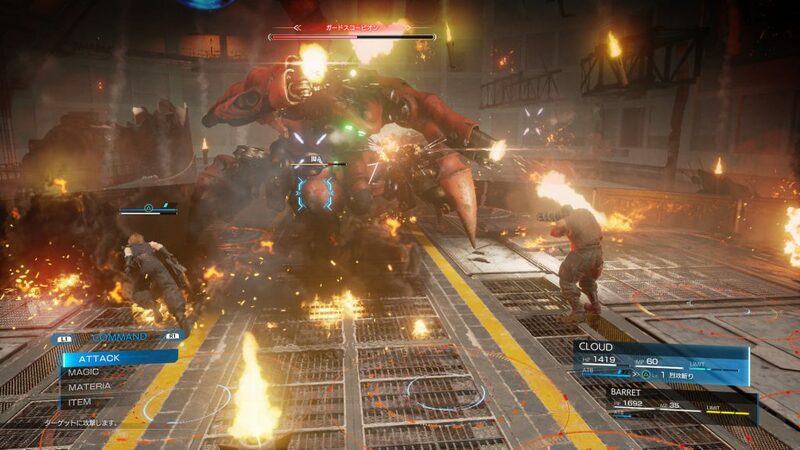 Fighting enemies feels great, whether that be the cannon fodder or the mighty hero characters. Those familiar with the Dark Souls series will feel at home with the emphasis on stamina management and parrying. 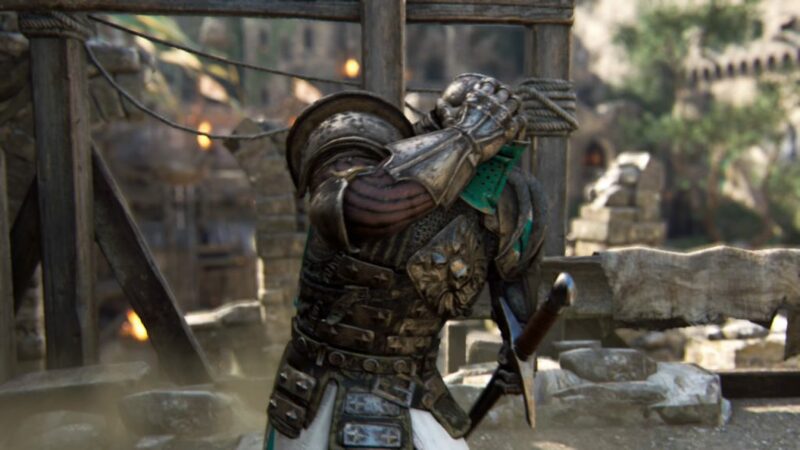 For Honor’s major innovation to combat is the ability to guard and strike on specific sides with one click. Combat is easy to learn but mastering it is a whole other battle. Clashing swords feels great and well made sound effects enhance the overall experience. Carrying fighting skills picked up in the campaign over to the multiplayer is exciting as well. While slaying A.I. bots is rewarding, executing a fellow human after a long back and forth is one of the best online experiences to date. Multiplayer is divided into four modes; dominion (capture the point), duel (1v1), brawl (2v2) and death match (elimination). Each of these modes is entertaining and offers a different challenge in terms of combat expertise. After completing some matches, players will be able to buy new equipment, cosmetics and characters after earning enough of the in-game currency. 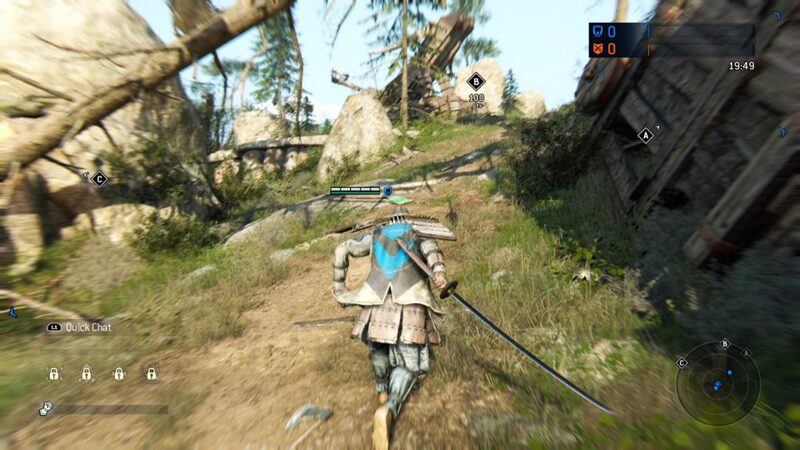 Overall For Honor is a great experience we would recommend to anyone itching for a new multiplayer to dive into. While the campaign is fun, the competitive battles online are at the forefront. Ubisoft outdid themselves on this one and we hope that they continue supporting this game just as Blizzard is doing with Overwatch. 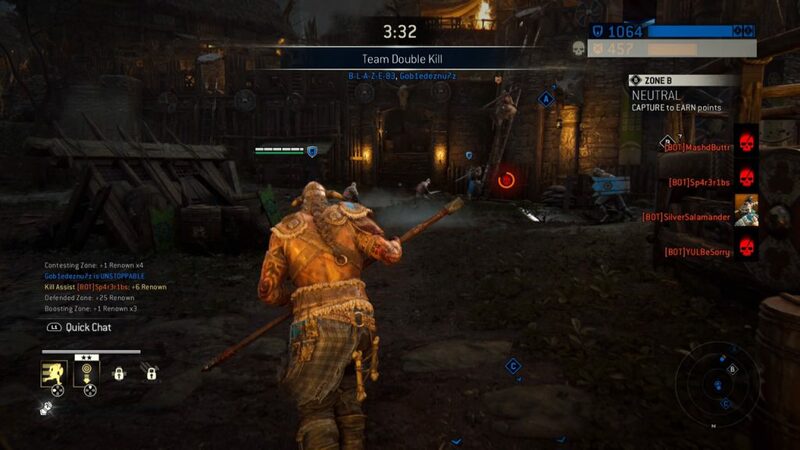 Remember to check out our variety of content on For Honor, included below is our let’s play of the beta that came out before release! If you liked the Let’s Play, don’t forget to Subscribe for the latest videos by Gigamax! The developers behind BioShock and Dead Space are hard at work on a horrifying new game. 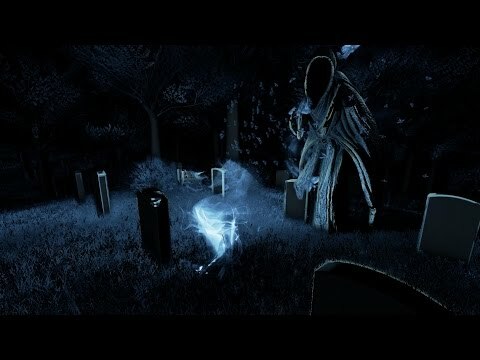 Perception is a truly unique experience in the realm of survival horror. Players take the role of Cassie, a blind woman who is avoiding a spiritual presence in an old mansion. While most horror games rely on atmosphere and various spooky noises, Perception takes these two things and makes them tools instead of just horror amplifiers. Cassie uses the ability of echolocation to turn sound into visual cues which helps guide her around the house. The only tools available to her along the journey are a walking stick and a smartphone. Players must use their smarts to dodge that unhappy spirit. The mansion that Cassie has decided to wander into is located in Massachusetts and will change dramatically throughout the game. Every time you solve a mystery that unravels why the heroine is having nightmares about the estate, the house will become radically different. 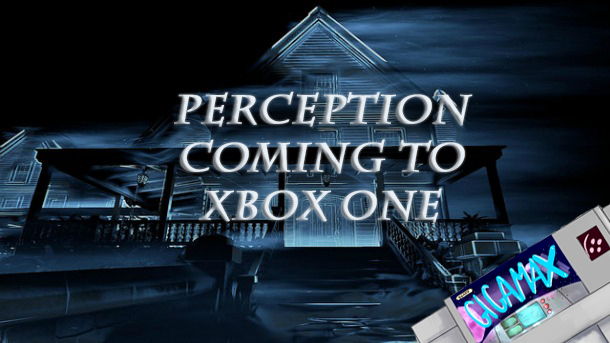 While Perception was previously announced for PS4 and PC, The Deep End Games recently announced that it will make an appearance on Xbox One. No formal release date has been set, but the team is aiming for 2017. This Indie development team is made up of industry veterans and young talent so the game is sure to leave players with plenty of scares.